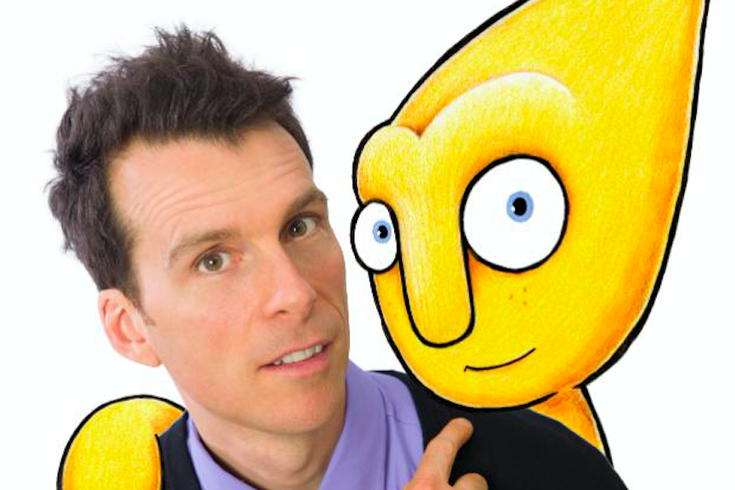 Gustafer Yellowgold appears Saturday, Jan. 6 at World Cafe Live in West Philly. Mixing music and fantasy has been like combining peanut butter and chocolate for Morgan Taylor, who brings Gustafer Yellowgold back to Philly this weekend. It’s difficult to imagine Taylor, the gentle singer-songwriter and illustrator behind Gustafer Yellowgold, opening for the hard drinking, rough-hewn independent rockers Guided By Voices. “But that’s how it all started for me,” Taylor said while calling from New York. Taylor grew up in the indie rock hotbed of Dayton, Ohio, which is also where the Breeders and the Brainiacs came of age. “Dayton is one of the most inspiring cities for a musician in this country,” Taylor said. No one in Dayton or the rest of the country is creating anything quite like what Taylor has conjured with Gustafer Yellowgold. The fictional character is a friendly alien, who left the sun for the earth and is compelled to explore. The quirky material has earned Taylor a Grammy nomination. “Creating Gustafer Yellowgold has been so good for me on a variety of levels,” Taylor said. Taylor melded music and art by creating Gustafer Yellowgold 15 years ago. “This was like many stories you hear from the artistic world,” he said. What has made the project work so well for Taylor is that parents are as interested in Gustafer Yellowgold as their children. They watch Taylor sing as his illustrations flash behind him on a giant screen during his shows. “It’s been so important that adults like this as well,” Taylor said. “The last thing I want is for the parents to be bored by this. If they didn’t care, I wouldn’t be playing places like World Cafe Live, even if their children were transfixed." Philadelphia has been one of the better markets for Gustafer Yellowgold. “People in Philly really seem to like the concept,” he said. It all started as a live performer for Taylor by opening for Guided By Voices, but the seeds of his musical creativity go back to his childhood, when he discovered Kiss. “I was obsessed with Kiss since I was 9,” Taylor said. 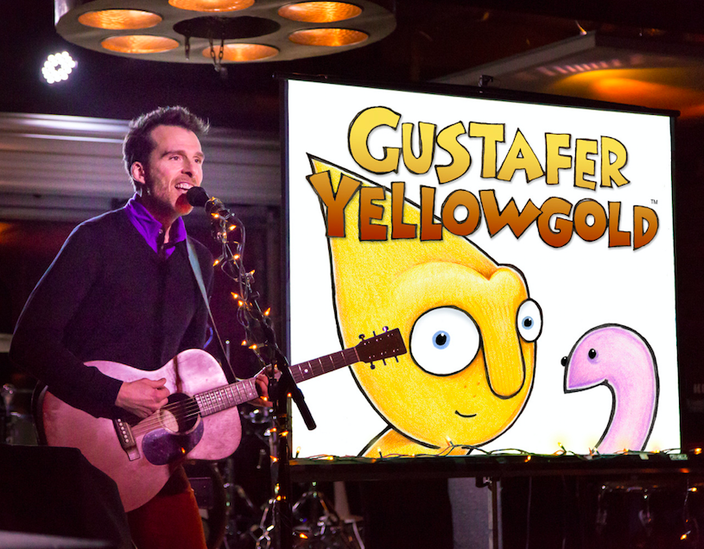 Gustafer Yellowgold appears Saturday, Jan. 6 at World Cafe Live, 3025 Walnut St., Philadelphia. Tickets are $10.05. Show time is 11 a.m.